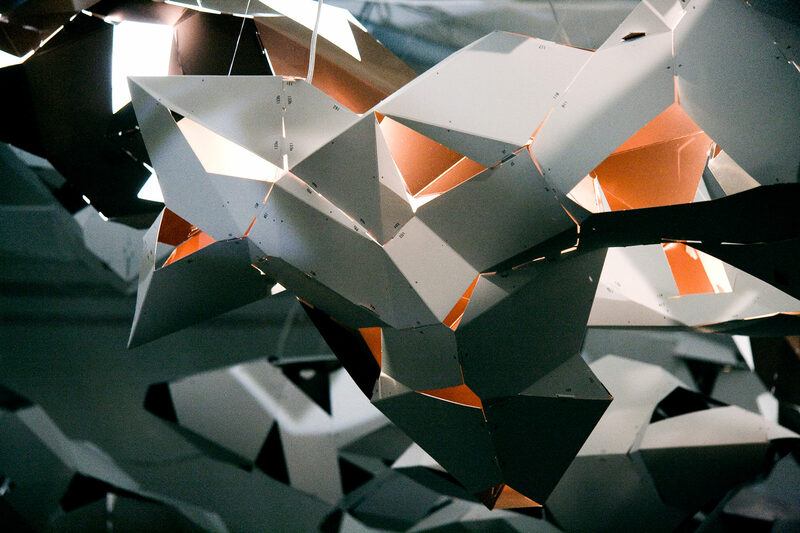 A reactive modular lighting system which propagates like cloud structures mimicking the complexity of weather patterns. 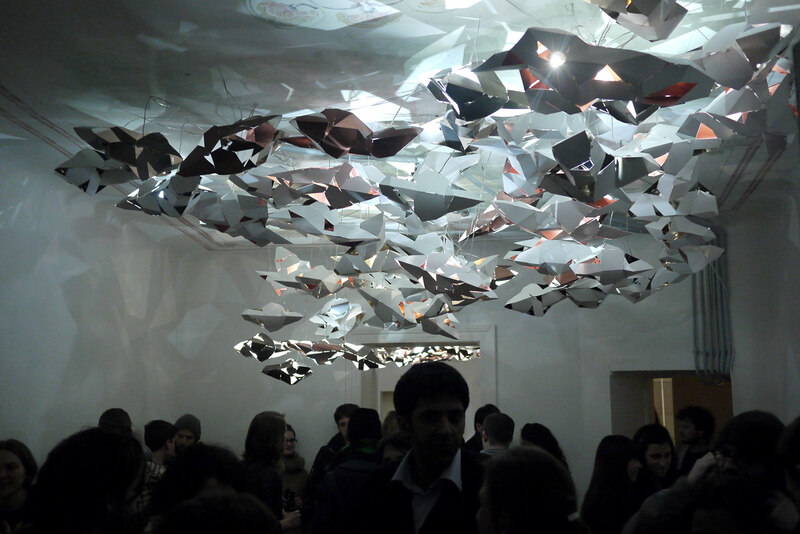 BOTOXCLOUD consists in an interactive installation and a paper model special edition. This project is an extension of the exploration of architectural pluralism SAQ first began in their Bikini Berlin project. SAQ as a studio is involved in a long-standing search to express a plural or probabilistic architecture using design as a device to understand the complexities in our surrounding world. 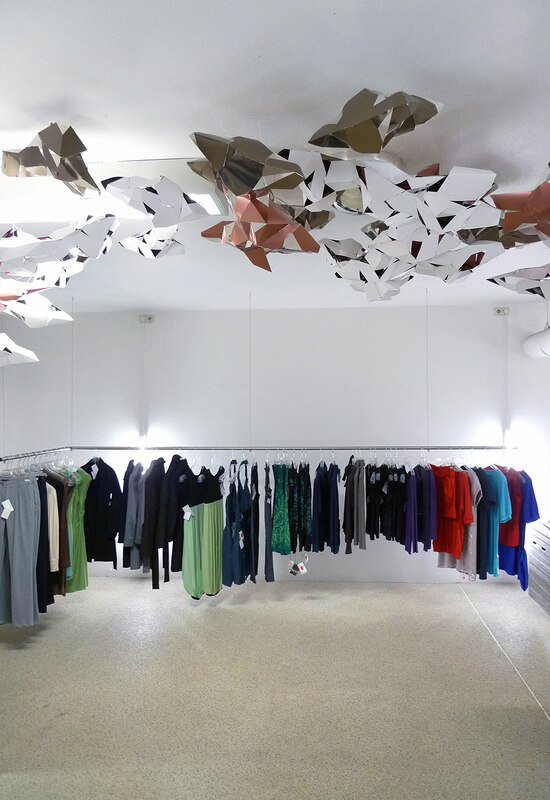 The installation is like a constellation of 3-dimensional jigsaw puzzles published in a limited edition which reacts to human presence. The print acts as a spatial extension of the installation, distilling the complexity of forms into a comprehensible package. Thus creating a deeper level of interaction and understanding between architecture and inhabitant. 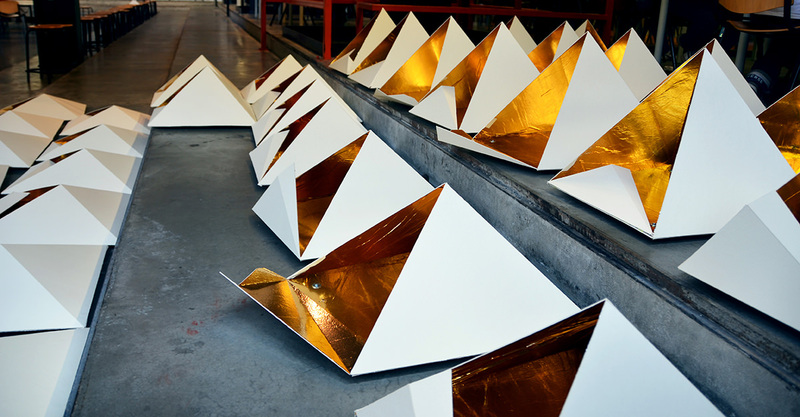 The Artist/Architect Drew Seskunas has directed a workshop at the Politecnico di Milano with the help of Brice Delarue and Lea Delion. 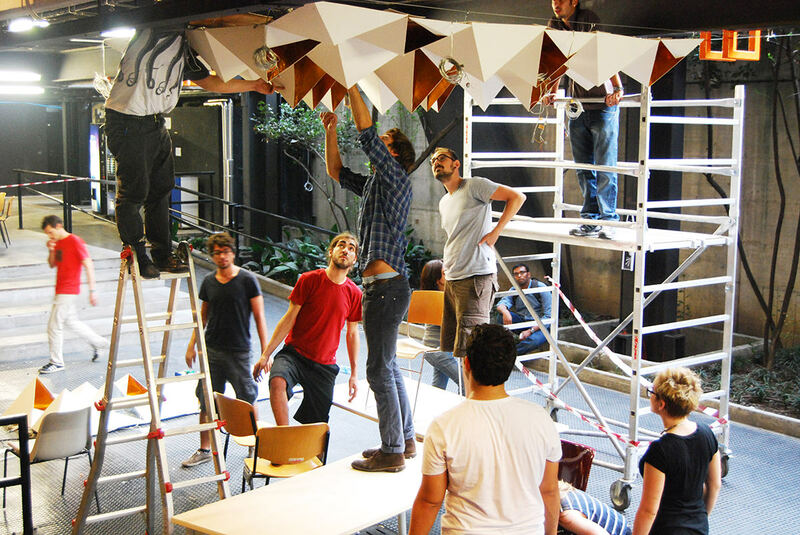 24 international students participated in a week-long workshop where they designed and constructed an interactive architectural installation. 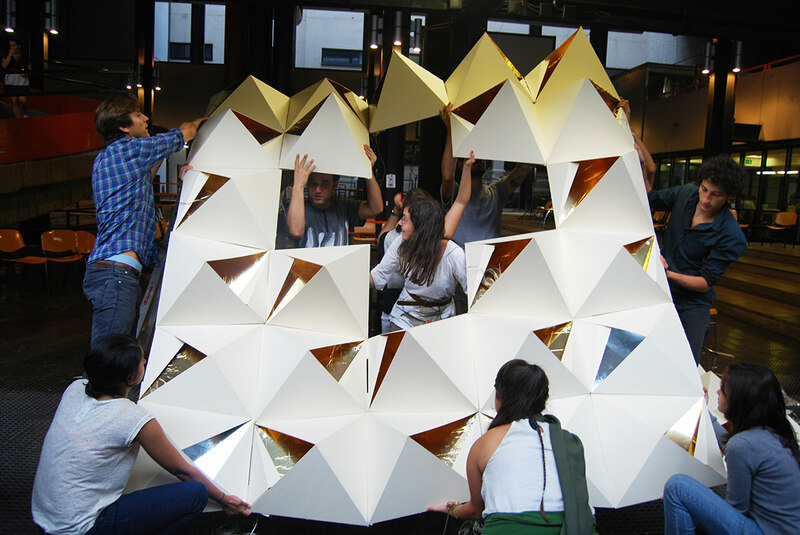 Using cardboard sheets and emergency blankets, students folded pyramidal geometries of varying sizes into an inverted landscape. 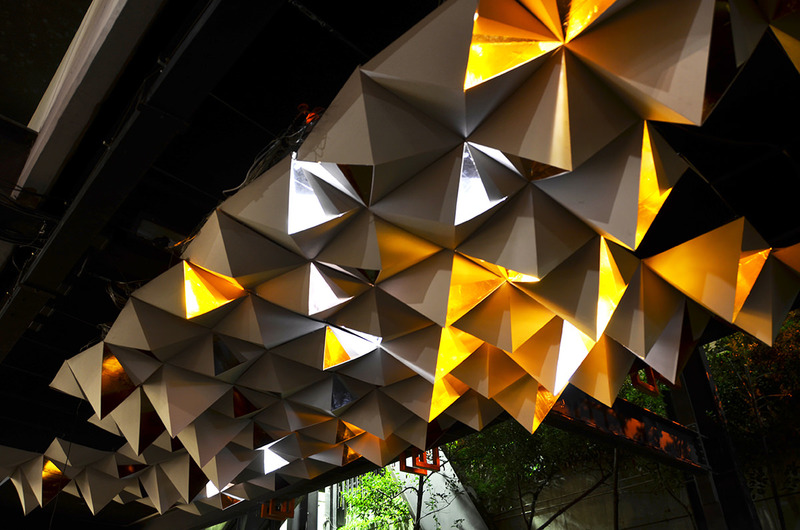 Comprised of 87 pieces and measuring 3 meters wide x 8 meters long, the landscape was embedded with a series of LEDs networked to sensors hung at either end of the installation. 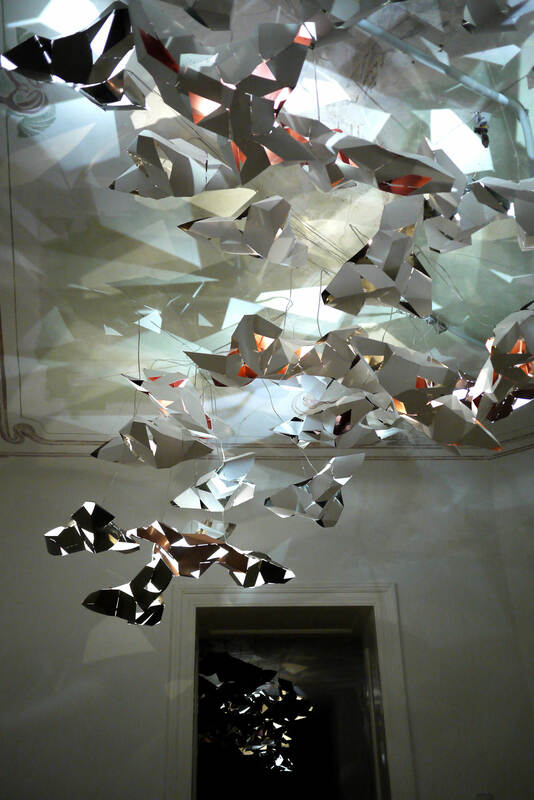 Suspended in the central space of the Scuola di Architettura e Società, the installation was opened to students at a party on the final night of the workshop. 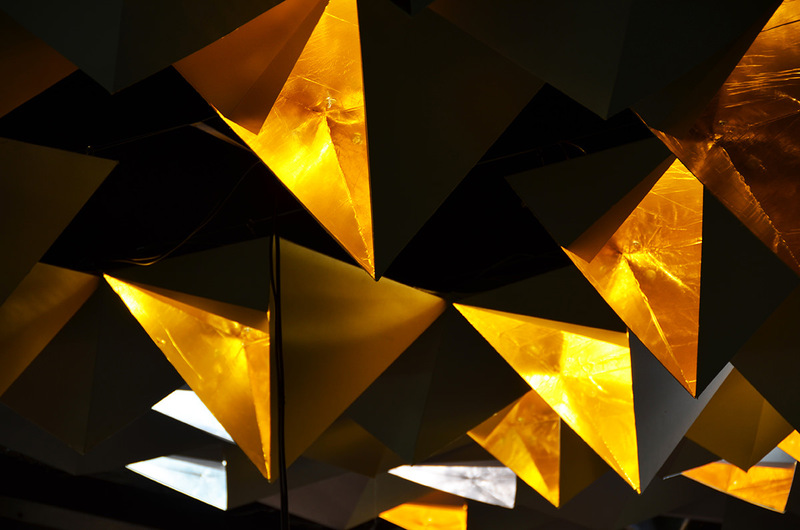 As the crowd underneath the installation expands and contracts, the geometries above reassemble in enigmatic response through light and shadow movement. BotoxUtopia was part of the MIAW II Workshop series, organized by Luca M.F. Fabris at the Politecnico di Milano. 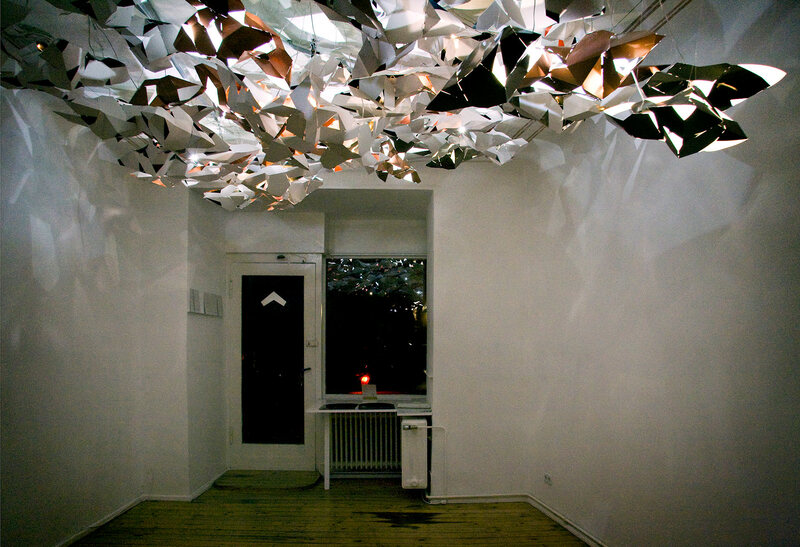 Beginning with BotoxCloud, presented at the Zirkumflex Gallery in Winter 2011 and BotoxLamp presented at the DMY, Berlin in Summer 2011; BotoxUtopia marks the final stage of Drew Seskunas’ Botox Trilogy, a project series studying interaction through hand-folded geometries and sensored environments. Make a cut-and-fold BotoxCloud yourself. If you can. 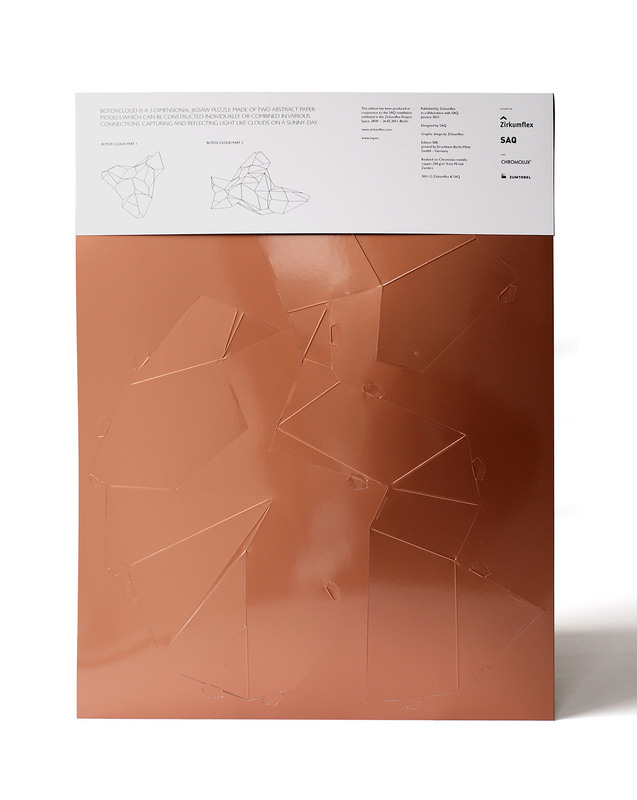 Designed like a 3-dimensional jigsaw puzzle, the print has been presented in conjunction with the gallery exhibit. 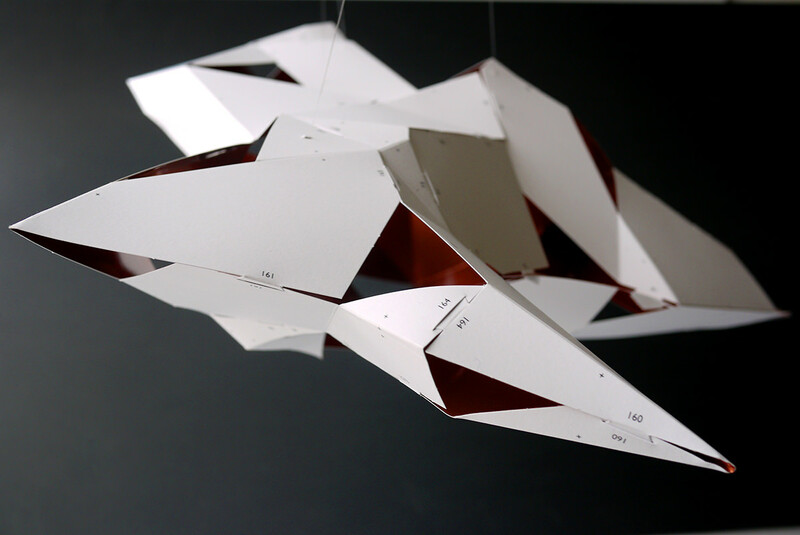 The BotoxCloud edition is made of 2 abstract paper models which can be constructed individually or combined in various connections, both large and small, capturing and reflecting light like clouds. 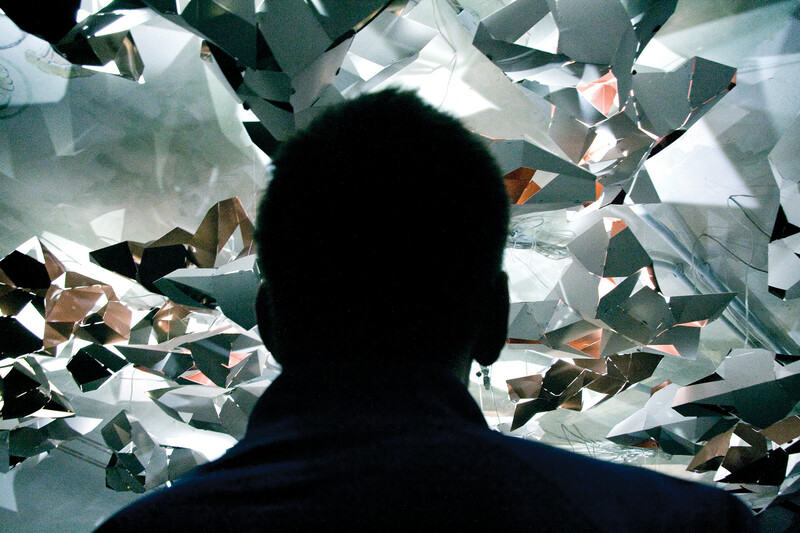 In collaboration with Zirkumflex, SAQ has published a limited edition cut and fold print of the paper models used in the BotoxCloud installation (28.01 – 24.20.2011). 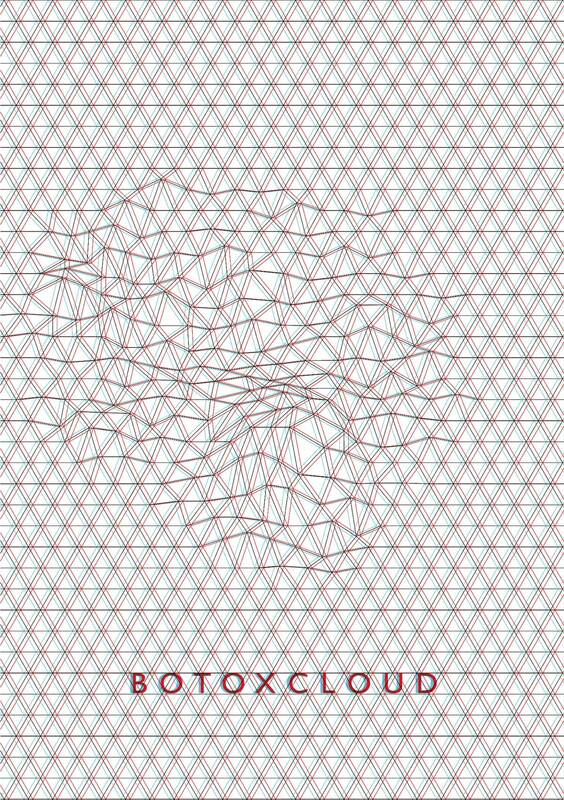 The title BotoxCloud comes from the desire to translate the complex formal language of a Cloud to a tangible medium. To do this 3D data are translated into 2D data and back. So the 2D shapes are inflate into complex 3D volumes, hence the analogy of cosmetic surgery, or Botox. 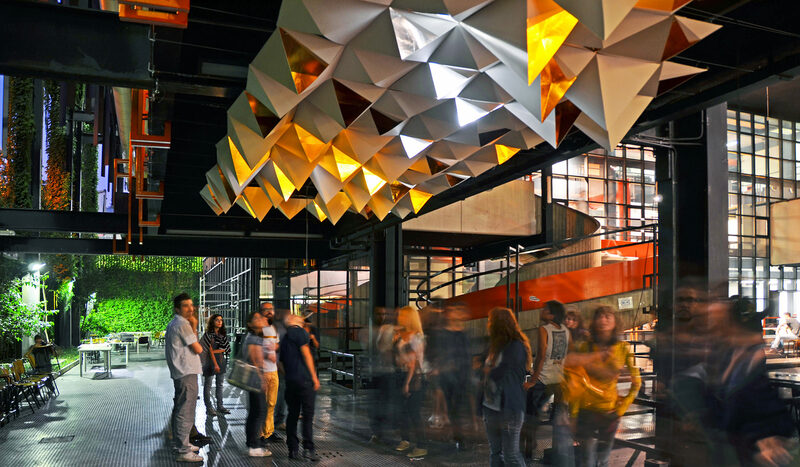 Built from 60 BotoxCloud prints, the sculpture installed in Ausberlin is propagated in amorphous groups responding to the existing architecture, capturing and reflecting surrounding light like clouds on a sunny day. Born not far from Charles in Baltimore in 1981, Drew Seskunas studied architecture at the University of Maryland and later received his Master’s from the Pratt Institute in New York. 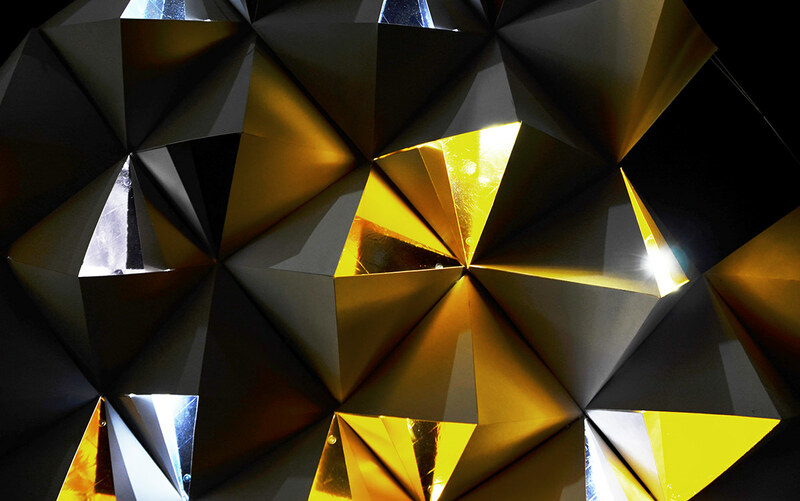 After moving to Paris in 2008 he began collaborating on architectural projects with the artist Arne Quinze, ultimately directing the Berlin office of SAQ Architects before returning to New York in 2011 to form The Principals. What is the origin of BotoxCloud project? 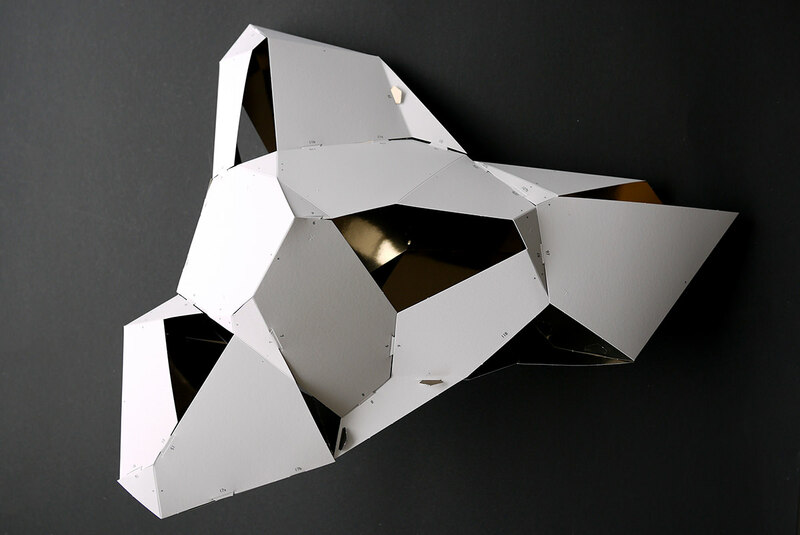 The project developed from explorations into deep levels of logic, order and interaction with form. Normally someone sees a cloud or some other natural phenomenon and on one level it looks like a disordered mess, but we also know there is a deep logic to that form, but it may not be intellectually accessible. We were looking for ways to make the logic of complex form accessible to people. 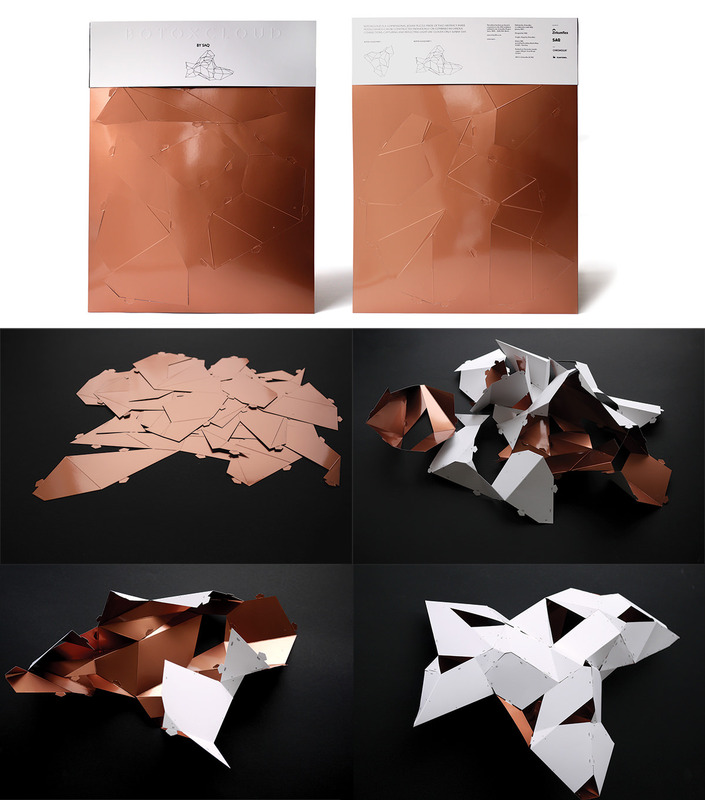 Why this interest in paper-cut and origami? 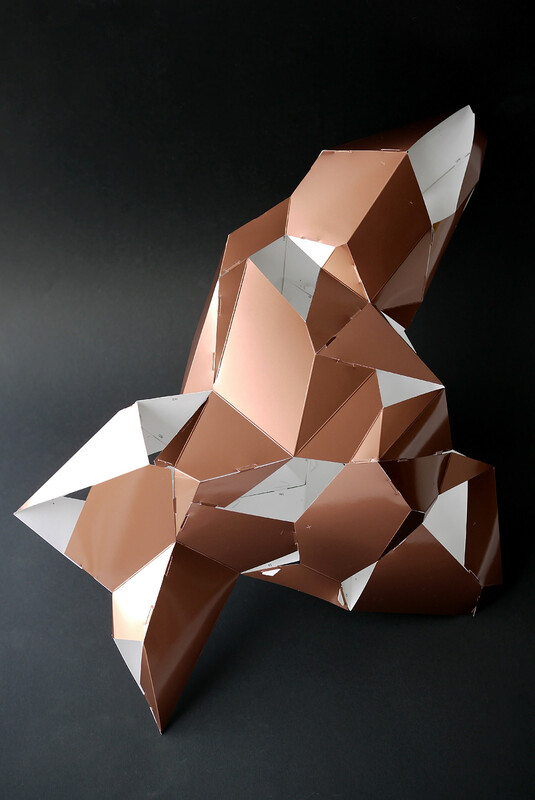 Origami has a very interesting relationship between math, form and materiality. It’s a hands on way of realizing complex equations in material qualities. This parallels very closely our relationship to architecture, light and shadow. Architecture is essentially the medium between the abstractness of math and the tangible qualities of our material environment. The play of light across architecture is how these connections are made. 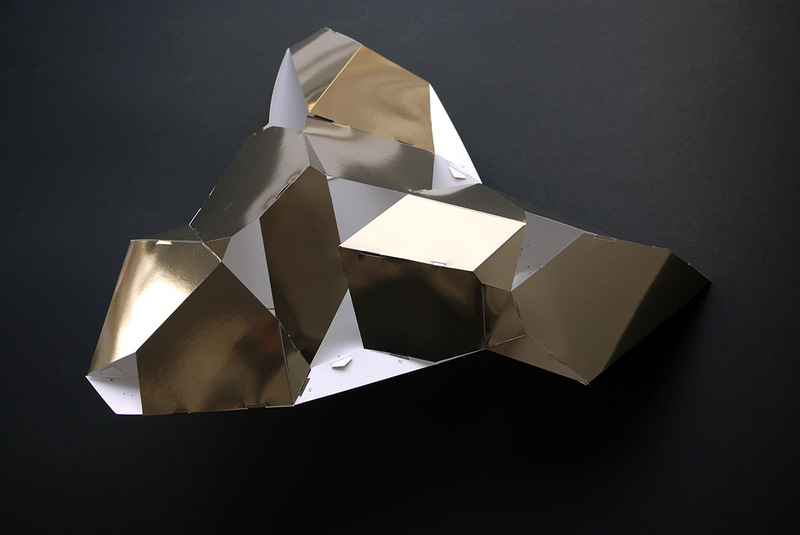 So origami is like a micro environment to test highly complex architectural environments and their mathematical rationale. How the installation reacts with the public? 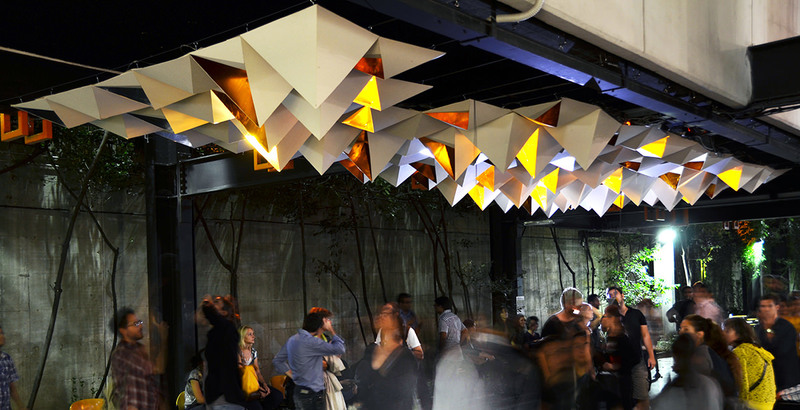 In particular, how do you envisage the relation between the lighting system and the public? The installation has a series of layered logics or ordering principles which people can understand through different interactions. One level is through a sensored environment ; their motions through the gallery direct intensities of the light which are then read through other sensors and reactions, creating a feedback loop within the environment mixed with certain random aspects programmed into the system. 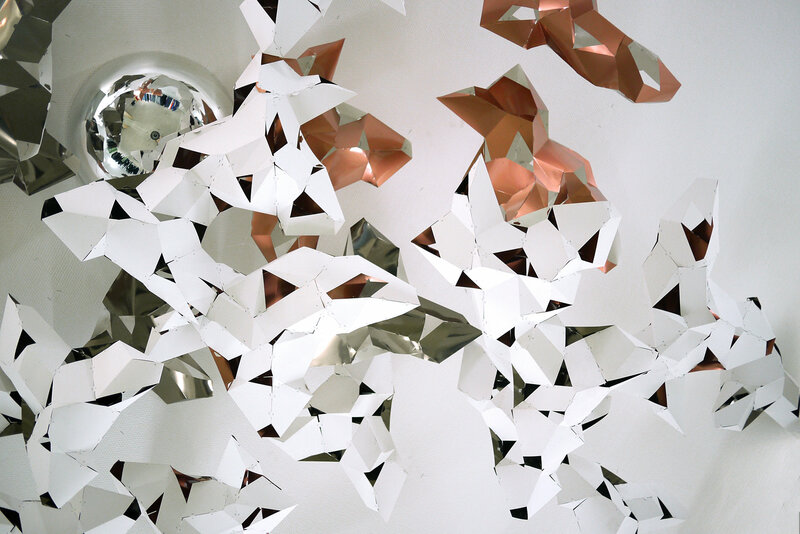 The complex forms trap, reflect and dissipate the changing light in various ways, like lightning in a thunderstorm. 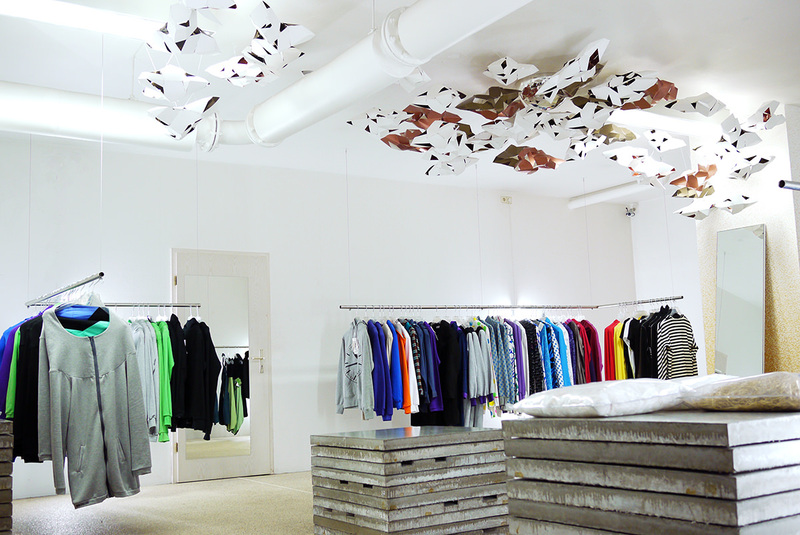 Therefore there are direct and indirect consequences of people’s interaction with the installation. Sometimes their impact is evident, other times what they are seeing is the result of an interaction several generations past. On another level there is the construction of the form itself. 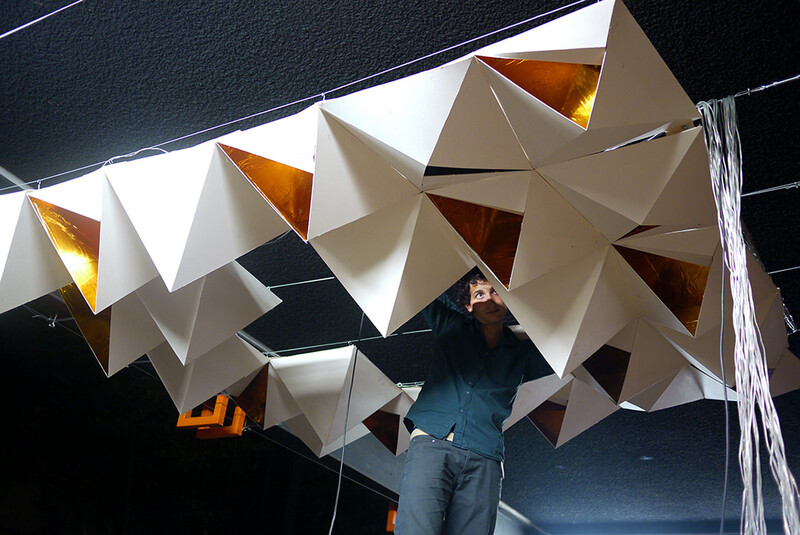 There are 2 editions we designed in the installation which are also sold as part of BotoxCloud so that people can experience the act of actually building the geometry. 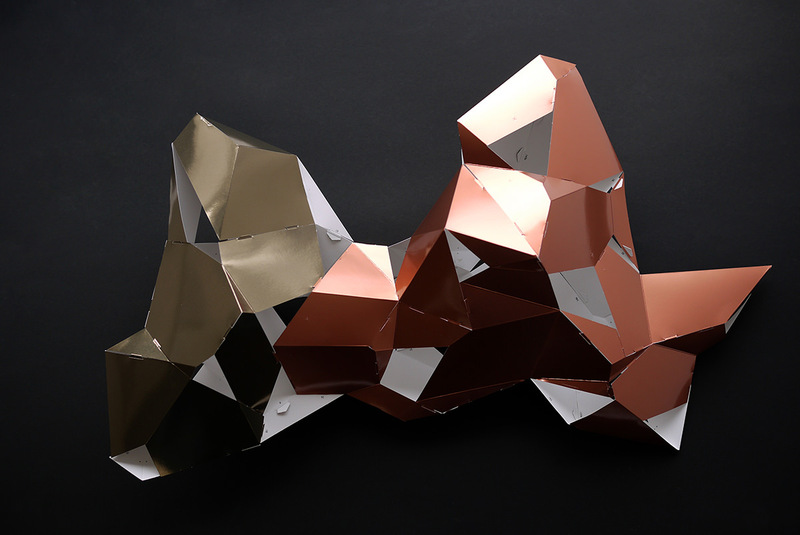 The two pieces can be assembled individually or together in various ways. There was a lot of engineering put into how we could have a complex, light transmitting form which could be assembled by a normal person, so that the act of building would intuitively deliver another level of understanding the installation and the rational of the form. Could you explain the cognitive name of the project? 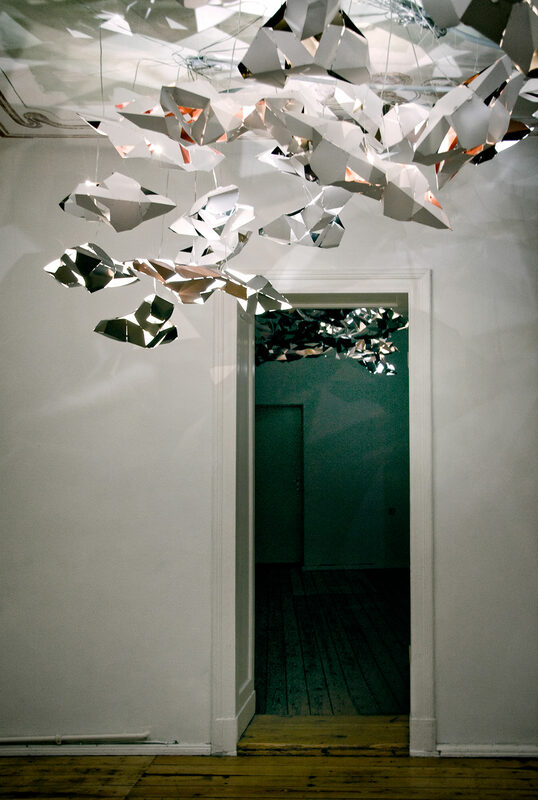 The title BotoxCloud comes from the desire to translate the complex formal language of a Cloud to a tangible medium. To do this you are translating 3D data into 2D data and back. So you inflate the 2D shapes into complex 3D volumes, hence the analogy of cosmetic surgery, or Botox, where you add in volume to features which were previously flat. There is also the reference to superficial aspects of formal study. In architecture right now there is a big anti-formal movement. People see it as a superficial aspect of architecture, something egotistic architects want to impart that lacks real substance, which we obviously disagree with. So equating our work to cosmetic surgery is a subtle jab at those people which would label us formalists. In your opinion, what is the function of design in our everyday environment? Design plays a massive role every day, whether people like it or not, and whether they realize it or not. Some people say the best design is that which solves problems yet people never notice. I completely disagree with that, design is a learning tool, it is a medium to understand more deeply the world.